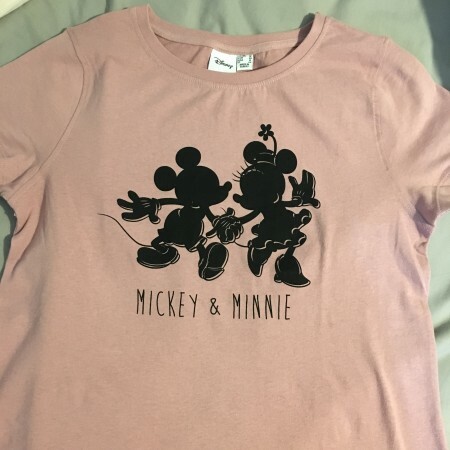 Its no secret that we love Disney in our family and I have written a couple of trip reports on another forum that I’m going to share here. 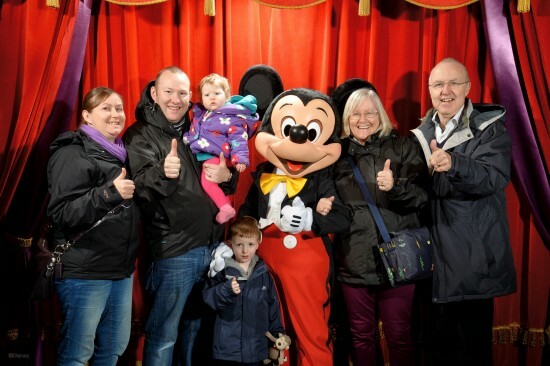 First up was our trip to Disneyland Paris in March last year which I started by sharing our plans. 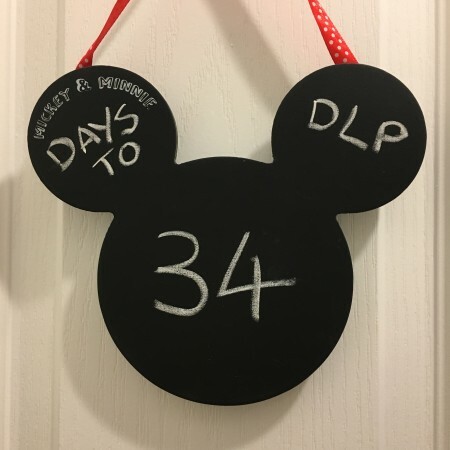 With 19 days to go until our trip to DLP, I thought I would start writing my first ever pre-trip report! We last went in February 2016 for my son’s 4th birthday on a fantastic deal but as a few of the attractions were closed, we wanted to return sometime in 2017 for the 25th anniversary. My son will start school this august so we also ideally wanted to go before then if we could. We have a bigger trip to Dubai and Hong Kong planned for May this year so we didn’t want this to be an expensive one. There are 6 of us going; me, my husband Graham, our son Holden (5), our daugher Eden (2) and my parents. 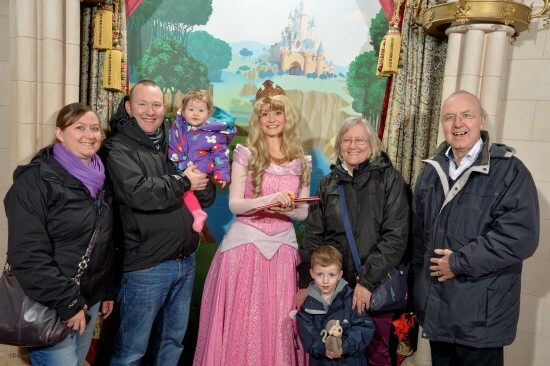 Here we all are last February at DLP. In November 2016 we saw the offer for 30% discount and free half board. We priced up the end of March before the schools finish for Easter and were delighted with 4 nights at the Santa Fe in a standard room including half board for £493.50 from Monday to Friday. This was booked with The Walt Disney Travel Company. We have stayed there twice before and it’s perfect for us as we are barely in the hotel, we can walk to the parks easily and my son loves the theming. We checked flight options at the same time and to maximise our time in the parks, we are flying the Sunday night then returning Friday afternoon. We are flying with EasyJet from Edinburgh. A quick search on hotel booking sites and we managed to book a night bed and breakfast only at the Santa Fe with hotels.com for £60.93 for our first night so we don’t have to move hotels on the Monday. We will email them before we go to say we have two bookings to see if it will be possible to stay in the same room. All of this was booked just for the 4 of us in November. By December the next offer of 15% discount and free full board had come out so my parents decided to book to join us too. I called the travel company to get a price to change to the new offer and for only £116 more we could. This included upgrading our room type to a Rio Grande room as we couldn’t just simply switch to the new offer but we know from previous trips that we would have spent more than that on lunches all week so for us it was worth it. Especially since our daughter can eat for free at all the standard buffets. Our total for the 4 nights with full board was now £609.50 so still great value for 4 nights / 5 days in the parks and all out food. We have booked our airport parking in Edinburgh and also booked our transfer from the airport with Prestige Transfer who we have used twice before. Since we have full board included I made a rough plan of which park we would be in each day and which places we wanted to eat. Everyone else is happy to just go along with the plan. We ate at Café Mickey last year so wanted to return before it closes and try Chez Remy. We will just top up our standard vouchers to eat at both of those. All that is left to do is decide what rides and shows we don’t want to miss. The new parade and illuminations both start the day we arrive so they are on the list as well as Crush’s Coaster as we have yet to ride that in all the times we’ve been. My son should finally be tall enough for both Thunder Mountain and Star Tour so I’m looking forward to taking him on them. I love Tower of Terror and as Peter Pan was closed last year I’m looking forward to taking my daughter on that too. I finally got my hands on one of the Primark chalkboards so that’s showing our countdown! 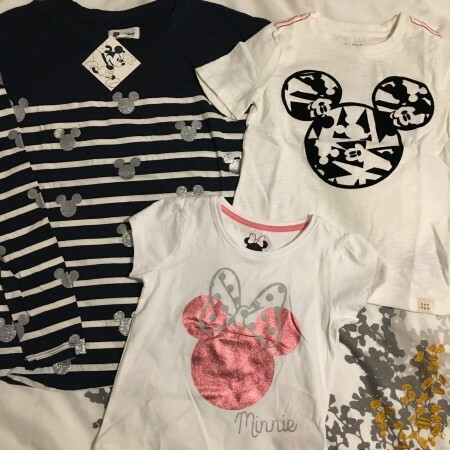 I’ve also got me, my son and daughter a few tops to wear. The t-shirts will also be taken to Hong Kong when we go. 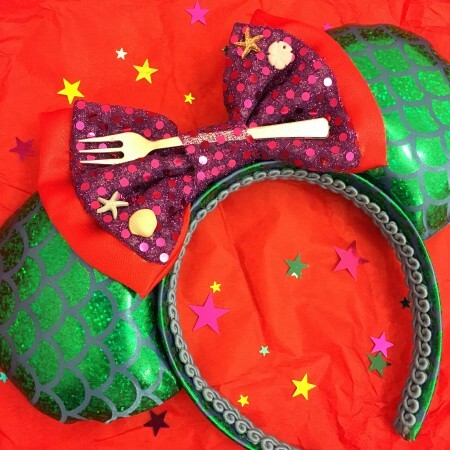 The most recent purchase I’ve made is some Ears from The Merry Ear Market, I can’t wait to wear them. Easter Sunday; spent at Nana & Grandpa’s for Auntie @hazelsmith21’s birthday too! Egg hunt in the sun at Granny & Grandad’s yesterday!